There are a lot of articles, videos, and resources about the topic of self-care. Yet, it remains the one of the most difficult thing to do. Sometimes it can be stressful simply figuring out what to do for self-care, right? Let’s breathe and stop for a minute. Take another breath. This post is not about “xyz” ways to practice self-care. It is more about why it matters so much. Once you understand the why, it is easier to figure out what to actually do. Self-care is necessary. Taking care of yourself is non-negotiable. Repeat: Taking care of yourself is non-negotiable. And it can be as simple as pausing to take a couple of extra breaths. You cannot nurture your dreams if you do not care for yourself. 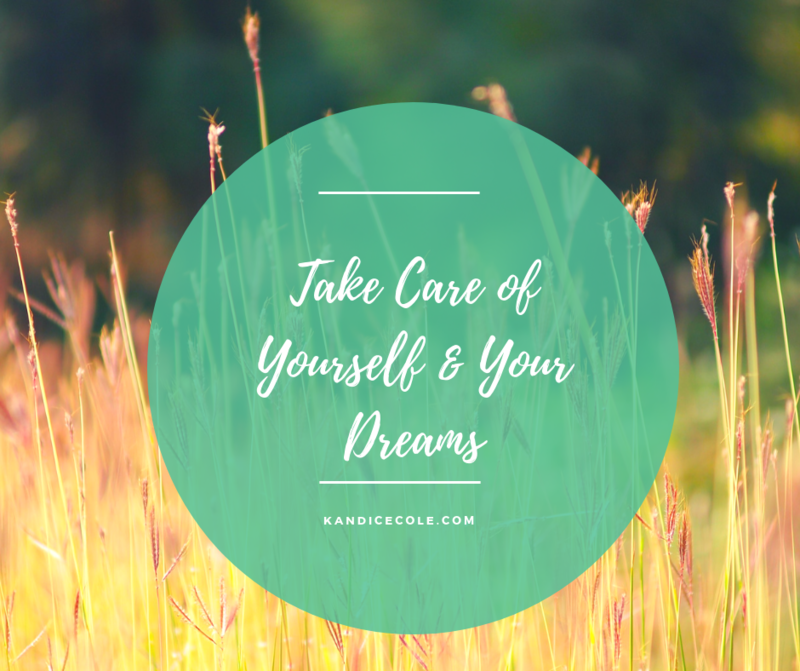 Being stressed, exhausted, and burnt out is not a healthy place for your dreams to flourish. Give your mind, body, and soul time to rest and recharge daily. In this recharged place, you will find a sharper degree of clarity. May self-care become less of task and more of a ritual. May you remember that you are a sacred being who deserves sacred care.